Country Side Resort Pushkar i Pushkar, Indien: Reservér nu! 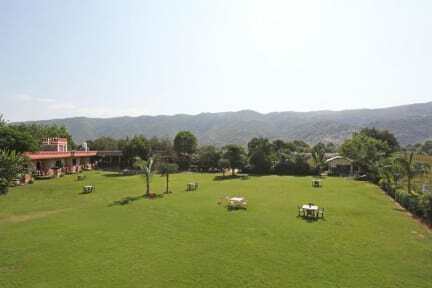 Country Side Resort was established in Nov. 2011 in purpose to provide a peaceful stay in surrounding nature for the traveler who loves to relax & peace in between natural scenes like mountains, valley, greenery and vegetable & flower farms with the surrounding area. Country Side Resort is just 200 meters away from Pushkar Lake & only 10 minutes walking distance from the main market of Pushkar. It is just 10 minutes walking distance from bus station & Brahma Temple.